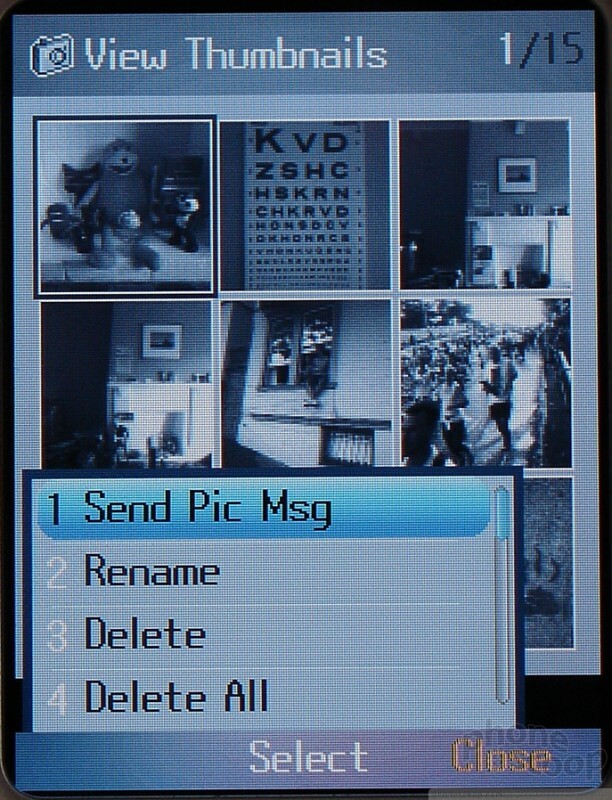 There are two camera applications, one of which is just a limited version for when the phone is closed, and a second full application for when it is open. Unlike recent models from Sony Ericsson and other manufacturers, you are supposed to hold the Kickflip like a phone, not sideways like a camera when taking pictures. The camera takes landscape-oriented pictures when the screen is in portrait orientation. It is difficult to realize this for a number of reasons. First, the viewfinder is always full screen, so while you think it is showing you the full view of a camera in the same orientation as the screen, it only shows you the very center section of the picture you're about to take. Even though the viewfinder icons are oriented vertically, you still think you're taking a horizontal picture. Second, when using the camera with the phone closed, you naturally want to hold it like a camera, especially since the camera button acts as the shutter button. However if you do this all your pictures will come out sideways and framed funny. 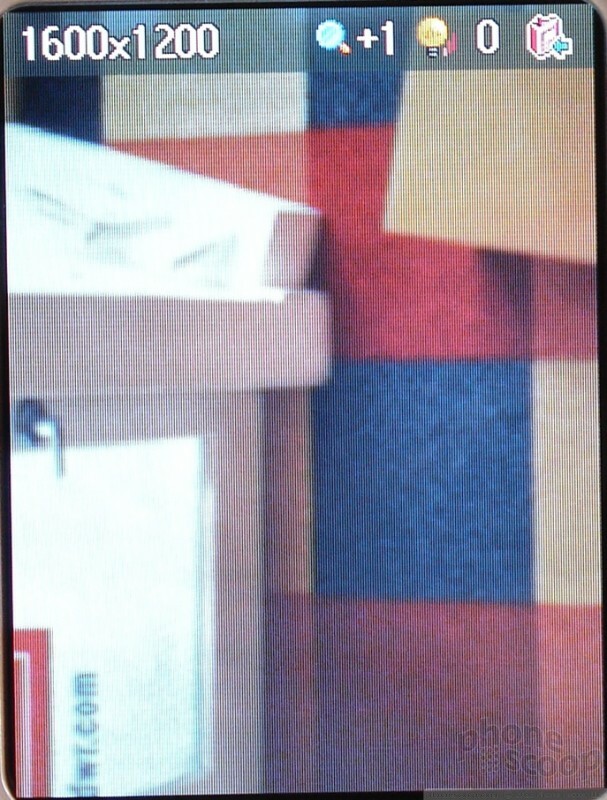 Holding down the camera button with the screen closed starts the limited camera viewfinder in about 2.5 seconds. This simple camera application makes use of every side button available to make small adjustments without forcing you to open the phone and use the full application. You can adjust the resolution and brightness of the picture, as well as turn the flash on and off. There is also a zoom indicator, but no obvious way to change the zoom level. 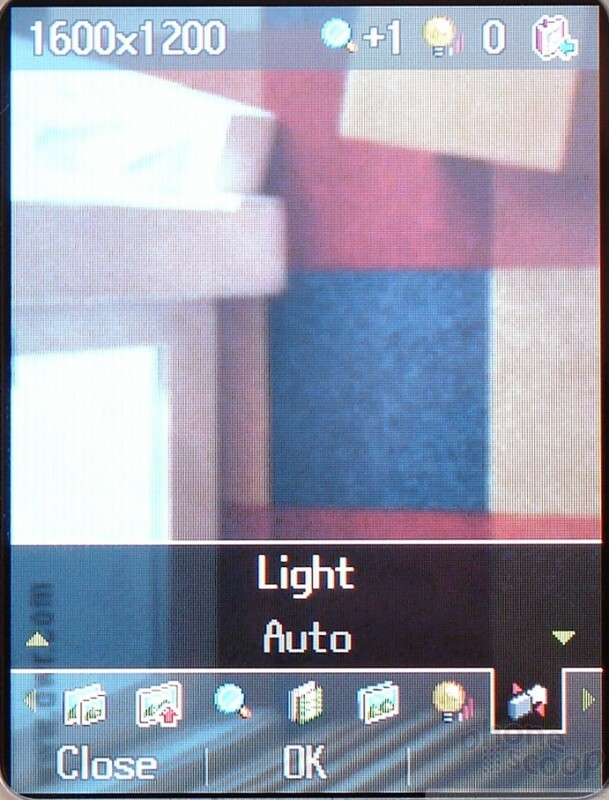 Pressing the shutter button snaps the picture and instantly saves it with the exact time (to the second) as the name. You are returned to the viewfinder in less than 2 seconds, once the photo has been saved. Opening the phone quits the camera mode and returns you to the home screen. The more complete camera application suffers from the same full-screen viewfinder that makes it impossible to properly frame a picture, but otherwise the viewfinder experience is very nice. The full application offers a vast number of options all of which are easily adjustable from the D-pad. These are all displayed from a small menu overlaid across the bottom of the screen. The live preview reflects any changes being made as you scroll through the options, so you can see if you really want to use those settings. 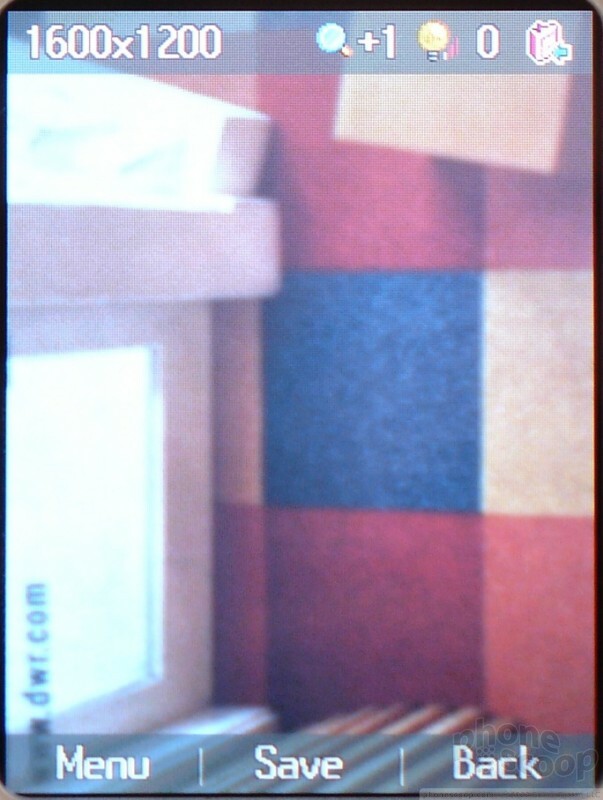 The 2.0 megapixel camera offers a digital zoom, but it is only active at a resolution of VGA (640 x 480 pixels) or below. This prevents the degradation of image quality since the sensor is doing the zooming, not some algorithm, but there is no indication that the zoom is disabled at higher resolutions or that it is finally active when at VGA or below. The flash is also disappointing, barely having an effect on subjects 4 feet away. When it is used in conjunction with the low-light scene mode, it is much more effective. In fact, unless it is bright outside, everything comes out better using dark, low light, or cloudy settings. The automatic scene exposure mode doesn't seem to work unless it's bright outside. Once the picture is snapped, you are taken to a review screen, which is where the simplicity of the interface starts to break down. 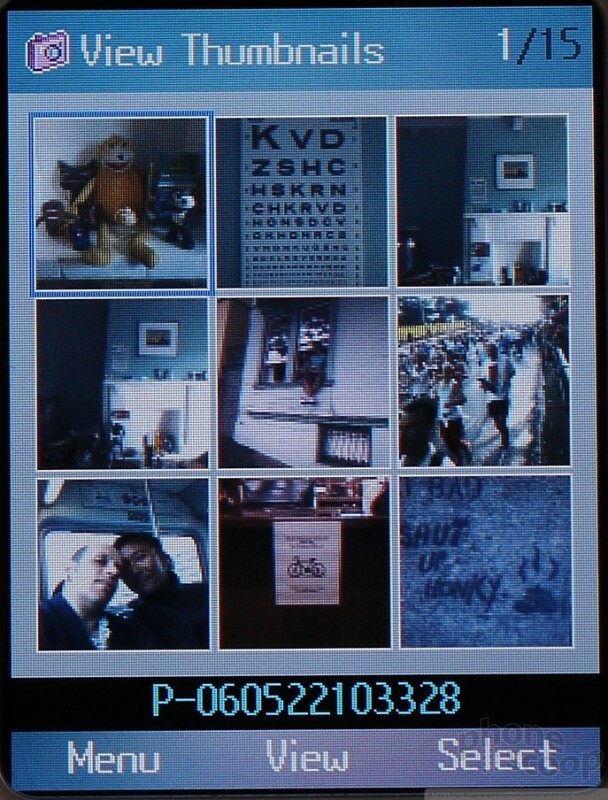 Like on Motorolas, the full Helio camera application deletes all photos by default. The only way to have a photo automatically save after it is taken is to use the limited viewfinder. The review screen offers three choices: menu, save and back. 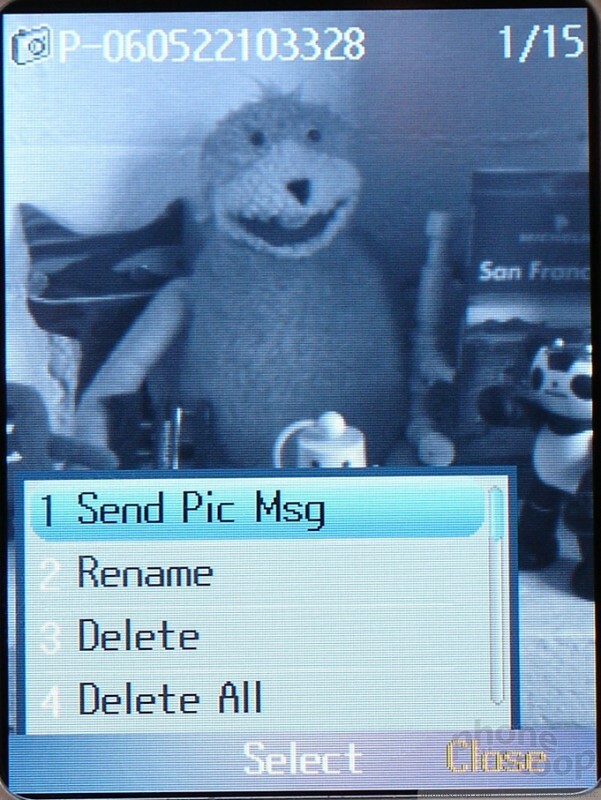 Menu gives you instant access to send the picture in a message or set it as your wallpaper. This also saves the picture. Save takes you to a screen where you can name the photo or just hit select to save the picture with the time stamp as its name. Back deletes the picture and takes you to the viewfinder. Exiting the application by closing the phone, or hitting the back or end keys also cause the picture to be deleted. The gallery application is equally frustrating. It only allows you to view pictures stored on the internal memory or the storage card separately, not in the same gallery. The gallery has limited functionality. It can only be used to delete, rename and move pictures, or to send them in picture messages. 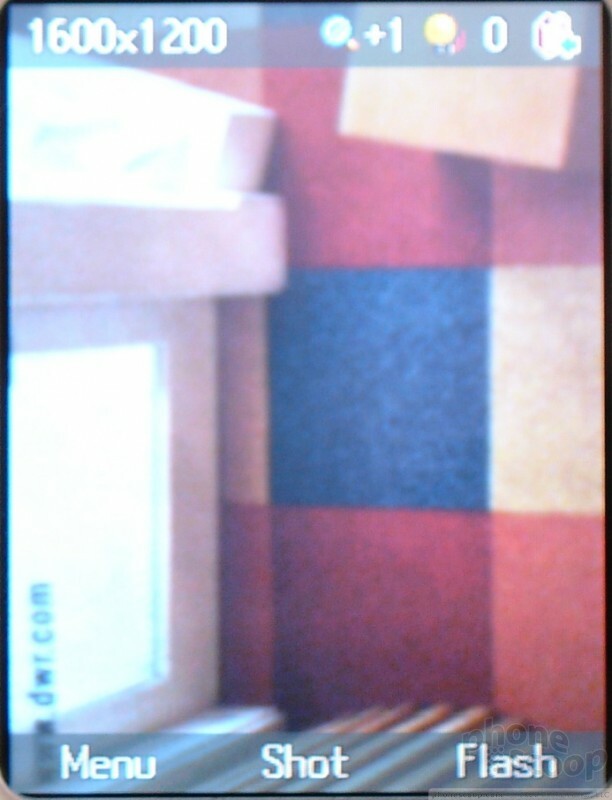 There is no option to zoom in, rotate, or otherwise manipulate the photos, nor is there a slideshow option. Only pictures stored in the internal memory can be sent in picture messages. 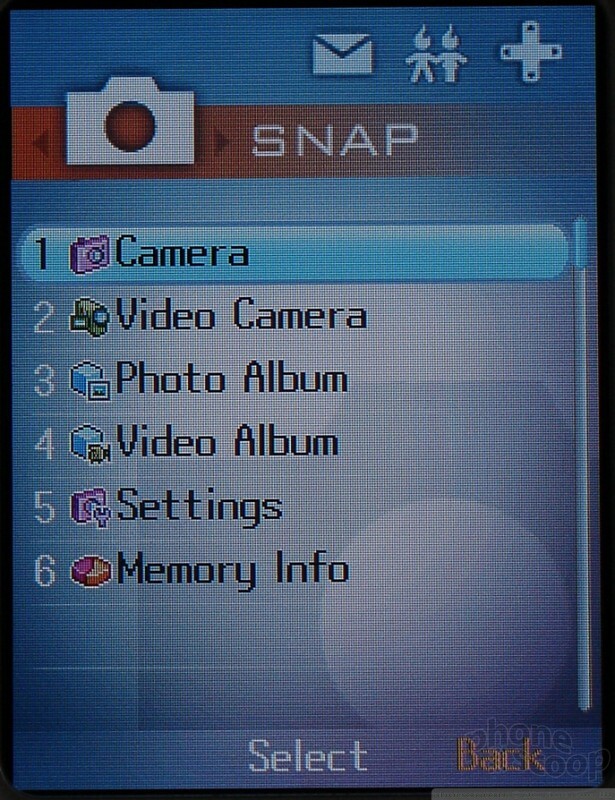 To make this limited functionality even more limited, pictures cannot be moved from the memory card to the internal memory to send them. Pictures can be moved from the internal to external memory to save room on the phone. We recommend saving all your pictures to the internal memory, only moving them off once you know you won't need to do anything with them. Normally keeping your pictures handy for sending in messages wouldn't be all that important, except that it's the only way some Kickflip users will be able to get their photos off the phone at all. The Kickflip does not store pictures to the memory card in a folder of JPEGs like every other phone does. Instead they are stored as entries in a database that is only accessible with the Media Mover desktop application. You cannot just pop the memory card in a reader and copy the pictures off. Oddly, movies are stored as simple 3G2 files in a folder and can be copied off to a computer painlessly. The video recorder is only available when the phone is open. It offers many of the same options and adjustments as the camera. It only records at QCIF (176 x 144 pixels) which is a disappointment considering the Kickflip has a 2 Megapixel camera. However other 2 Megapixel cameras only record video at this same resolution, which is considered the optimum size for video messages sent over the network.